The plot unfolded like a murder mystery. First, on January 18, Argentine state prosecutor Alberto Nisman was found dead from a gunshot wound. The timing was uncanny: Nisman had just written a 289-page report accusing President Cristina Fernandez de Kirchner and her foreign minister of covering up a deadly 1994 bombing of a Jewish community center. He had been planning to deliver the testimony the following day. Initially, the death was chalked up to suicide. But a few days later, the president said she believed Nisman had been murdered as part of a plot to discredit her. And this week, it came out that a draft of a request for Kirchner’s arrest was found in Nisman’s house. To understand the context and ramifications of these dramatic events, Moment spoke with Javier Sinay, an Argentinian journalist who writes for Rolling Stone Argentina and other news websites. Sinay is the author of a nonfiction book about his great-grandfather that traces the origins of the country’s Jewish community, which, at an estimated 250,000 people, is the largest in Latin America. He is currently working on an article covering the fallout in the wake of Nisman’s death. What was the public’s initial reaction to the news of Nisman’s death? It was very shocking for everyone. I’ve read that president Cristina Kirchner told her chief of secret service, “Tell me what the hell is going on here?” So no one expected this death. Even [Kirchner]. From day one, we knew we would never know what happened with this death. That’s the feeling. For one, the investigator who is working on the death of Nisman, prosecutor Viviana Fein, doesn’t seem to be very consistent. She still hasn’t checked if Nisman was shot by someone else or by himself. She wanted to take her holiday on February 18, though she quit that idea after being pressured by public opinion, of course. More importantly, people here tend to distrust justice in official investigations, especially when politics is involved. There is a long list of very important cases in Argentina that have never gotten justice: the bombing of the Jewish community center in 1994, a lot of corruption incidents of President Carlos Menem, the República de Cromañón fire (a fire in a discotheque, in 2004, which had 194 fatalities), and some big corruption incidents of [the late] President Néstor Kirchner and his wife [Cristina Kirchner], and now this death. News reports say the Jewish community in particular had doubts about Nisman’s alleged suicide. Is this true? The relations between the leaders of the Jewish community and the government are tense. 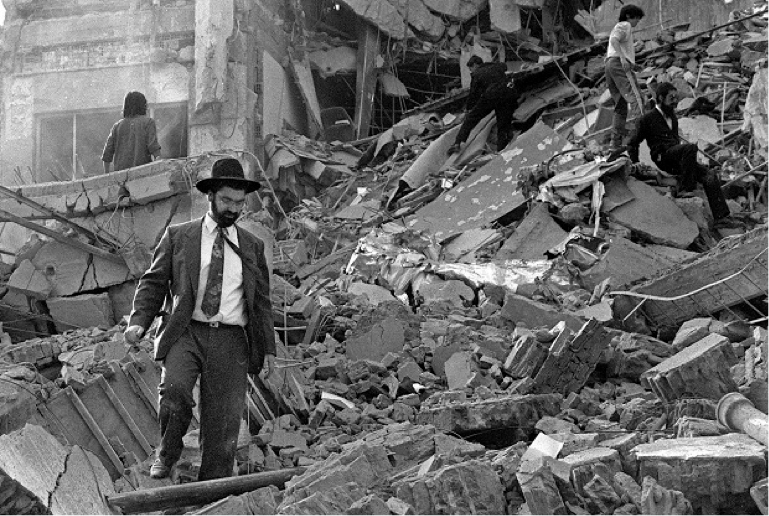 The memorandum between Argentina and Iran was not supported by the leaders of the Jewish community, although there is a group of relatives of the victims of the community center bombing which in fact did support it. The Nisman death makes things worse in general. So the leaders of the Jewish community tend to be very careful about their words. They’ve been saying: “We think Argentina needs to solve this case for its own republican health”—and not much more. Five days after Nisman’s death, President Kirchner said it was not a suicide, but a murder that was part of a plot to discredit her. What was the public’s reaction? Half the public loves Cristina, half the public doesn’t. Some believe her, the other half does not. The society is very divided in that issue. Most of the people don’t think she ordered to kill Prosecutor Nisman. The idea of Cristina ordering to kill Nisman is just too simple and rude. This seems to be something more complicated. One hypothesis about Nisman’s death is [that] he got in the middle of the war between secret service and government, and he couldn’t help it—or help himself to get out. Did Antonio “Jaime” Stiuso from the Secretaria de Inteligencia (the Argentinian Secret Service) give him every word for his impeachment on Cristina? We don’t know. Stiuso hasn’t talked yet. Supposedly, he is out of the country. This appears to be the key besides this death: the war between Secret Service and the government. But I think we will never know the official truth. In your reporting, have you come across much anti-Semitic sentiment in Argentina? Other than that, I haven’t come across it much. It’s not an anti-Semitic society. You can talk about Jewish issues and there is no problem. For instance, I published [a] book about a Jewish issue, and it hasn’t gotten any anti-Semitic response. In Buenos Aires, the Jewish population is about 10 percent, so Jewish issues and Jewish people are common. The national government has three Jews in big chairs: Axel Kicillof, Minister of Economy; Héctor Timerman, Ministry of Foreign Affairs, International Trade and Worship; and Daniel Filmus, Secretary Related to the Falkland Islands Affairs, former Minister of Education, Science and Technology. The suicide attack on the community center, Asociación Mutual Israelita Argentina (Mutual Israelite Argentinian Association), left 85 dead and was one of the country’s deadliest anti-Semitic attacks since World War II. Are many Argentinians aware of its significance today? Yes, people remember. But there is a feeling that th[e] bomb was a war from another place, a strange war, not here in Argentina. There’s the feeling that we will never know what really happened. If it was Hezbollah, Iran, Syria, or maybe local terrorists, I think we will never know.